UTSC is dedicated to improving the sailing ability of every member, and promoting recreational and competitive sailing among all members of the UT community. Learn to sail, no experience required! UTSC is dedicated to providing an organized sailing program for all members of the University of Texas community. Our fleet consists of everything from windsurfing boards to keel boats, all moored on Lake Travis. We host weekly Saturday Sails, as well as social events such as camping trips and benefit regattas. Come out and sail with us! Whether you are looking for competitive racing, or just want to meet new people, UTSC has something to offer you. Come to an info session to learn more about the club. Stay tuned to the mailing list, Facebook, GroupMe or the events page for times and locations of upcoming club events. Joining the Sailing Club is easy! Membership is open to all undergraduate students, graduate students, faculty and staff of the University of Texas at Austin. Whether you are looking for a cut-throat competitive racing environment, a relaxing afternoon on the lake, or an exciting way to meet new people, UTSC has something to offer you. No previous sailing experience is required. UTSC does more than just sail. We also plan camping trips, hikes, and other social events! Keep up with us to find out what awesome trips we have planned, and tag along on our next adventure! ...are the heart of our club. 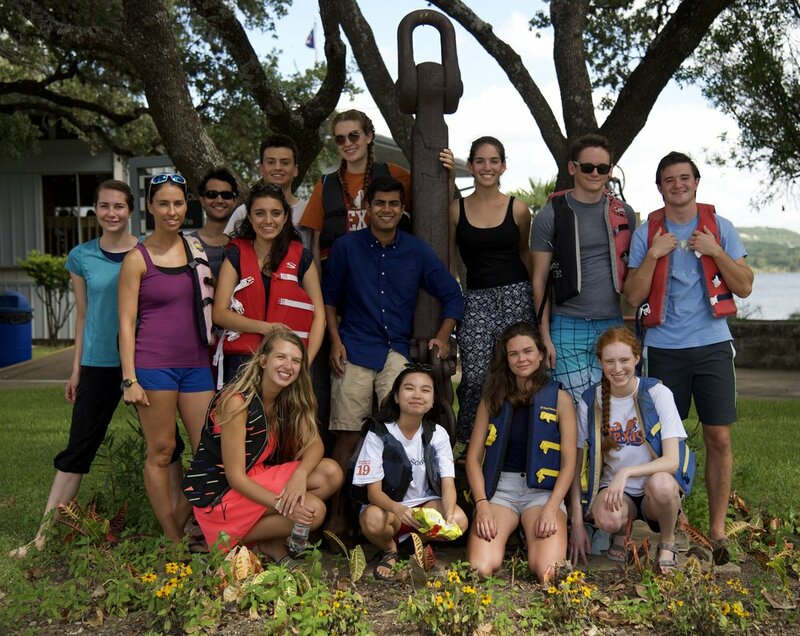 Community is what makes the University of Texas Sailing Club thrive. Whether you are a seasoned seafarer or a nautical novice, sailing with UTSC is a great way to continue to improve your ability. We'll also point you in the right direction to keep up with your learning even when you're off the water. Racing is a great way to quickly become an experienced sailor. The racing crew takes out our J24 to regattas both on Lake Travis and all across Texas! Let's be honest. If you're a part of UTSC, you want everyone to know. Deck yourself out with some of our gear. Sailing is a huge part of each of our lives, when you donate to us, we get to share our love for sailing with the community. Help us spread our passion!